True “Star Wars” fans know that “The Empire Strikes Back” is the best “Star Wars” movie ever made. 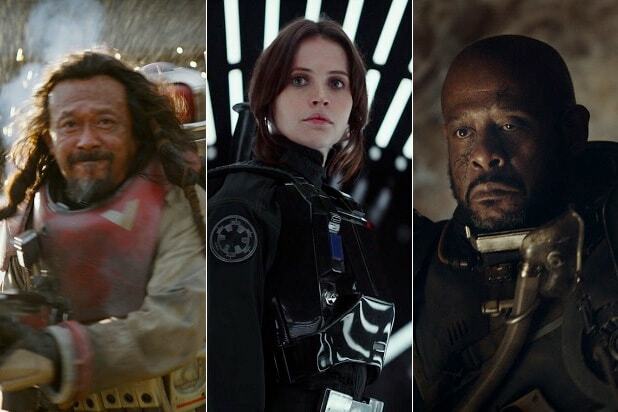 So when Kevin Smith says that “Rogue One” is “#EmpireStrikesBack great,” it’s worth taking notice. Smith tweeted that assessment after the premiere of “Rogue One” on Saturday. Adding heft to Smith’s take: “Rogue One” is all about a plot to steal the blueprints for the Death Star from the original movie, and Smith has thought more about the Death Star than pretty much anyone who hasn’t made a “Star Wars” movie — as fans of Smith’s “Clerks” will remember. One of that movie’s highlights was a long riff about the fate of the independent contractors hired to work off the blueprints to build the Death Star — hundreds if not thousands of average-Joe hardhats who were viciously murdered by a rebel named Luke Skywalker as they just tried to do their jobs. Of course, the “Star Wars” universe is darker than it seems at first glance. We found out in “The Force Awakens” that lots of Stormtroopers were conscripted into the service of the Empire. It’s a lot to think about. Smith’s “Clerks” riff is above.